Keith Amor has made a speedy return to international road racing as he returned from two years of retirement to top the super twins class in first qualifying on the KMR Kawasaki 650 machine, with a lap time some 1.5 faster than anyone else. Speaking after the day’s track action, Amor said: "I had a few issues with the clutch going in the 600, but the wee bike is great! It's a little easier to get up to speed on the supertwin because you're going a bit slower, but the first time through Station Corner flat out at 160mph on the super sport bike made me think "Oft! We're definitely back now!" Second was team boss Ryan Farquahr, also making a return from retirement by starting where he left off. 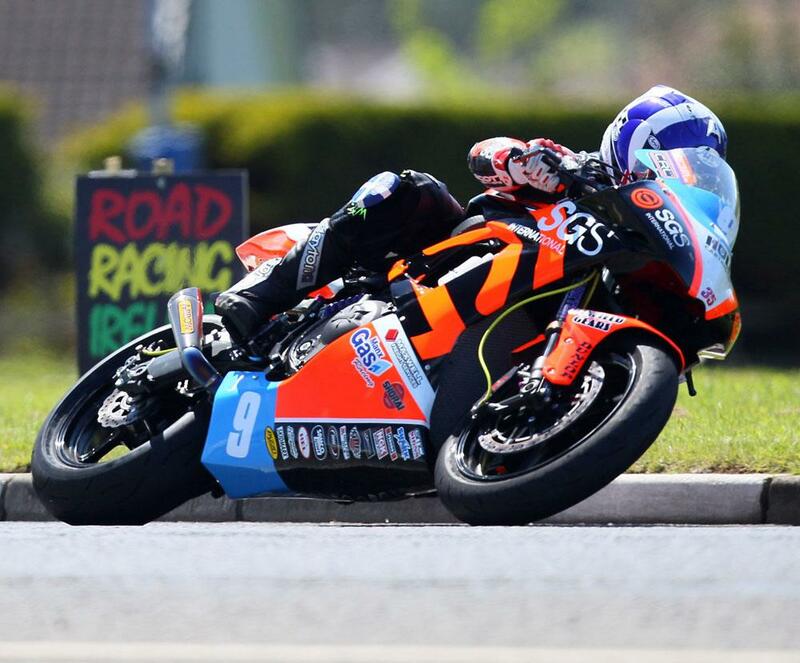 Farquhar was in turn ahead of the third KMR machine on the grid, with Connor Behan only 0.07 behind his team boss. 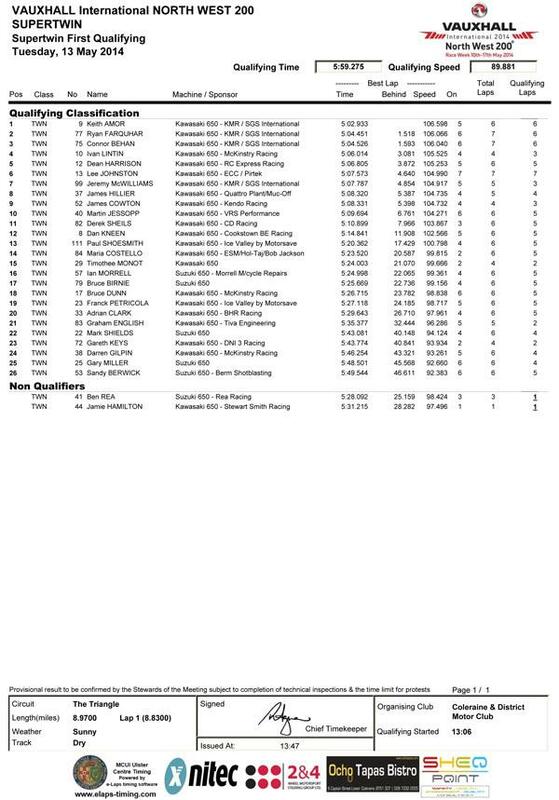 Ivan Linton led the second row ahead of Dean Harrison and Lee Johnston, while former GP winner Jeremy McWilliams was seventh on another KMR bike. TT winner James Hillier, Jamie Cowton, and BSB racer Martin Jessop rounded out the top ten.